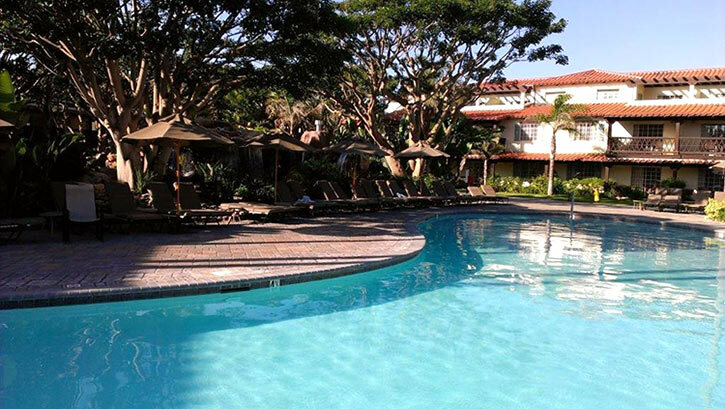 gorgeous pool was very slippery. 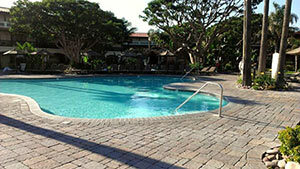 SCD re-did the swimming pool deck and walkways to make them safe and beautiful. 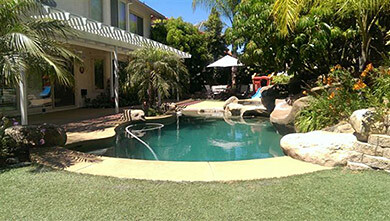 Southern California Decking is know for their approach to making a poorly installed pool deck or deck coating beautiful again. 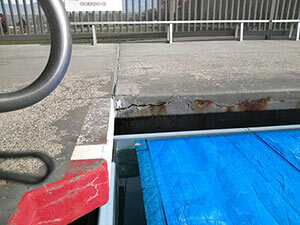 Here is a pool deck coating that is cracked, has un-actractive lines running throughout the entire deck surface and lots more that you DO NOT WANT! 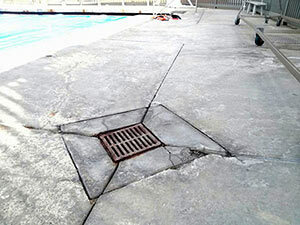 The rock work on this pool deck coating was installed at a hotel location in California. 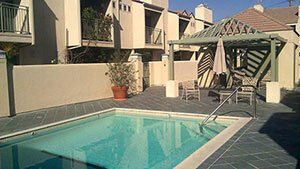 Southern California Decking can install or repair any styles shown. 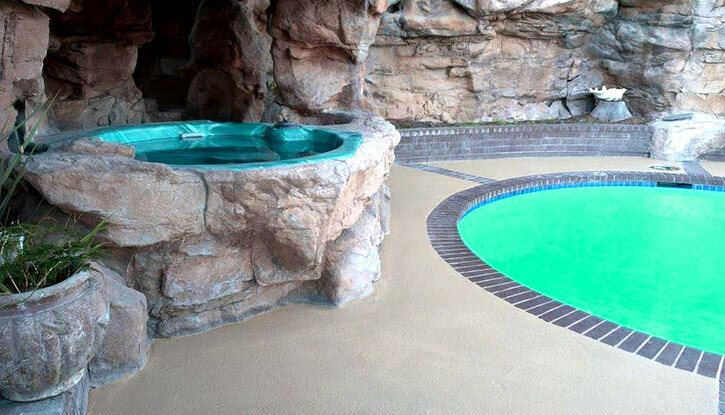 We apply decking coatings around spas, swimming pools and rock work. This is a home in Los Angeles / Southern California. 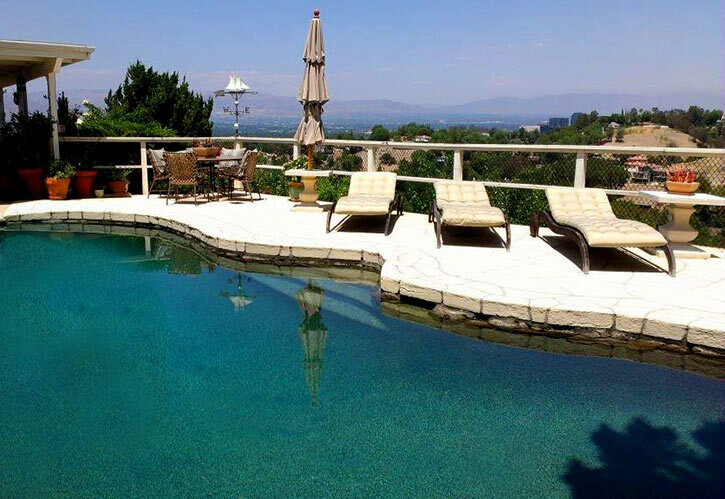 Different angle of same deck coating overlooking Bell Canyon / Woodland Hills / San Fernando Valley, California.